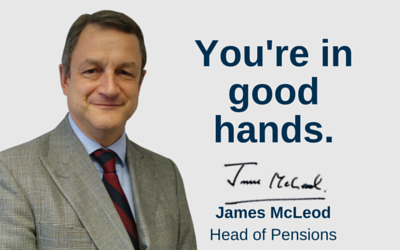 Do you have a UK registered pension and are you a tax resident in Mexico? If the pension remains in the UK, the exemption from UK tax on any payments under the DTA may apply to Mexican tax residents with tax payable in Mexico (at rates up to 35%). Furthermore, the fund remains exposed to the UK death benefit charges. Transferring to a Gibraltar QROPS for non-UK residents (5 years +) can alleviate UK tax on payments (at up to 45%) with tax payable in Mexico for tax residents (at rates up to 35%) and tax payable in Gibraltar (at 2.5%). Under Mexican tax law, a foreign tax credit should be available for Gibraltar taxes paid. Non-Mexican residents should only be liable to the Gibraltar 2.5% tax. Furthermore, the QROPS can protect from the UK death benefit charges if non-UK resident (5 years +) and there is no Gibraltar IHT. Transferring to a Maltese QROPS for non-UK residents (5 years +) can alleviate UK tax on payments (at up to 45%) with tax payable potentially in Malta and Mexico (under the DTA) for tax residents (at rates up to 35%). A foreign tax credit should be available in Mexico for Maltese taxes paid. Non-Mexican residents should only be liable to the Maltese tax at up to 35%. Furthermore, the QROPS can protect from the UK death benefit charges if non-UK resident (5 years +) and there is no Maltese IHT. Under the DTA betweenthe UK and Mexico, generally pensions and other similar remuneration paid in consideration of past employment and annuities paid to a resident of Mexico shall only be taxable in Mexico. If the pension is not paid in consideration of past employment then it may be taxed under the Other Income Article of the DTA. This states that such income will be taxable in Mexico but may also be taxed in the UK. Claims by residents of agreement countries to exemption from UK tax are made to HMRC. It will authorise non-deduction of UK tax if a claim is accepted. Gibraltar has no DTA with Mexico, therefore the QROPS payments to you would be taxable in Gibraltar, currently at a rate of 2.5%. of Mexico in consideration of past employment shall be taxable only in Mexico. We understand that currently Malta does not treat QROPS as “pension paid in consideration of past employment” and therefore the Other Income Article may apply. This Article allows Malta to tax the income, and therefore QROPS payments to a Mexican resident may be taxable in Malta, at up to 35% and taxable in Mexico. Individuals tax resident in Mexico are generally taxed on their worldwide income at progressive rates ranging from 1.92% to 35%. Non-residents are taxed only on Mexican-sourced income. For tax residents, assuming that the foreign pension income derives from a labour relationship, payments would be treated as “salary” and taxed at the respective progressive rates. There is a tax exemption of approximately £1,400 per month. In addition, individuals can apply personal deductions when calculating their annual tax liability. Mexico on such pension income payments. Generally there is no net wealth, gift or inheritance taxes imposed in Mexico in respect of the pension fund. However, state taxes could apply. There are 31 states in Mexico and it is advisable to verify the local law of the relevant state. Mexico has signed 64 DTAs including with the UK and Malta.